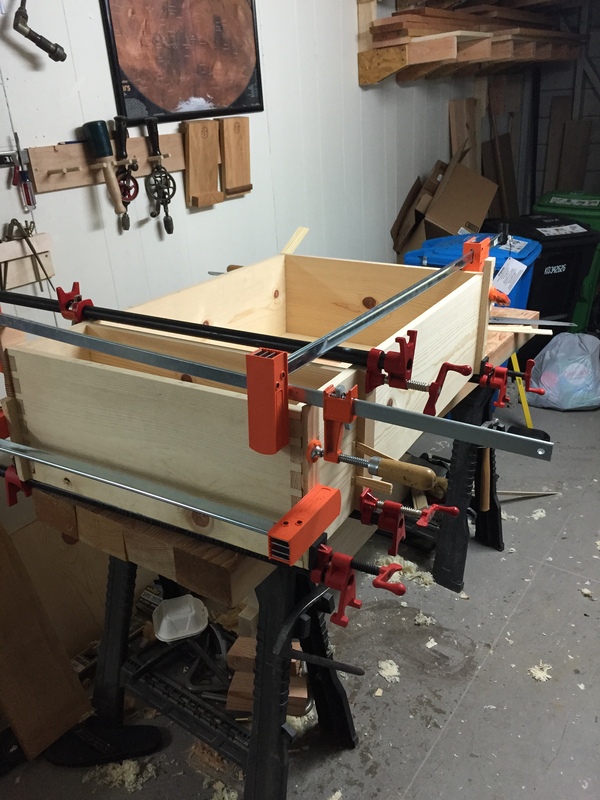 Last night I started the assembly process of the saw till so the primary focus was on getting the joinery tight on the bottom half of the case. 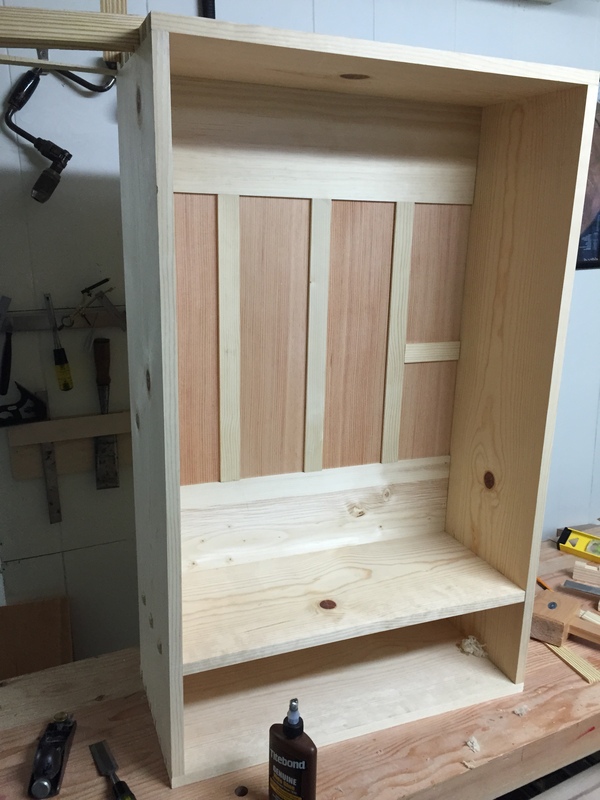 After some test fitting I identified some dovetails and through tenons that did not close fully and that the back panel in the drawer compartment was not sitting square with the sides. 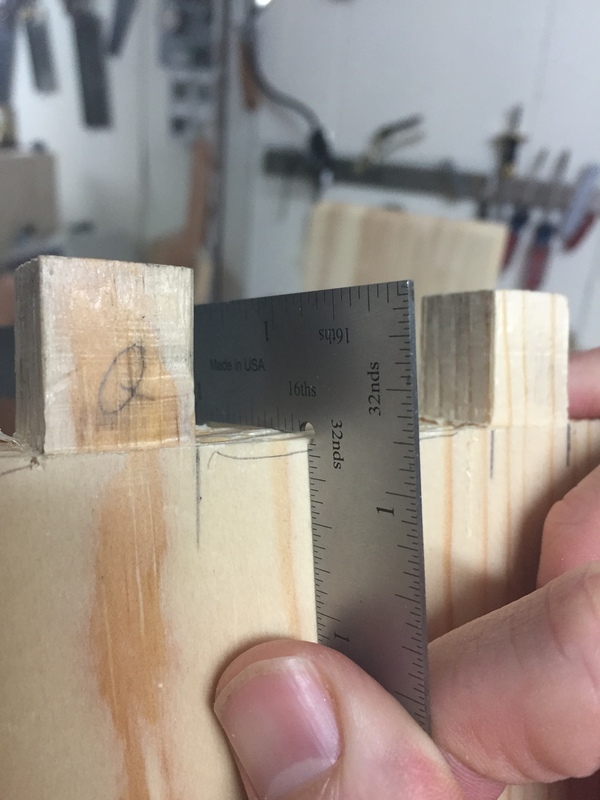 First I squared up the tenons on the back panel and undercut the shoulders slightly with my shoulder plane until I got a tight fit. Next it was time to tackle the dovetails and through tenons. 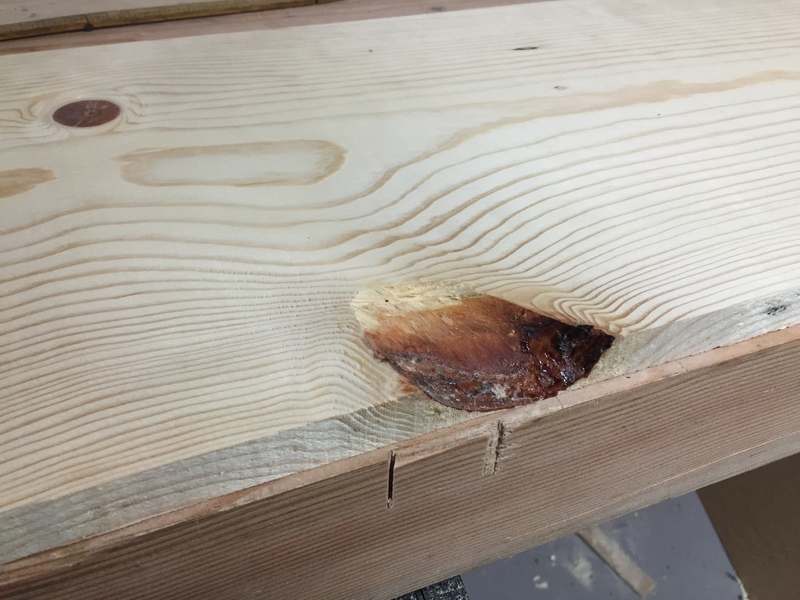 A quick diagnosis with a square showed that a few areas had not been undercut properly. A small sharp chisel made quick work of this and solved the problem. Notice the middle is higher than the edge. Both edges are the high points. 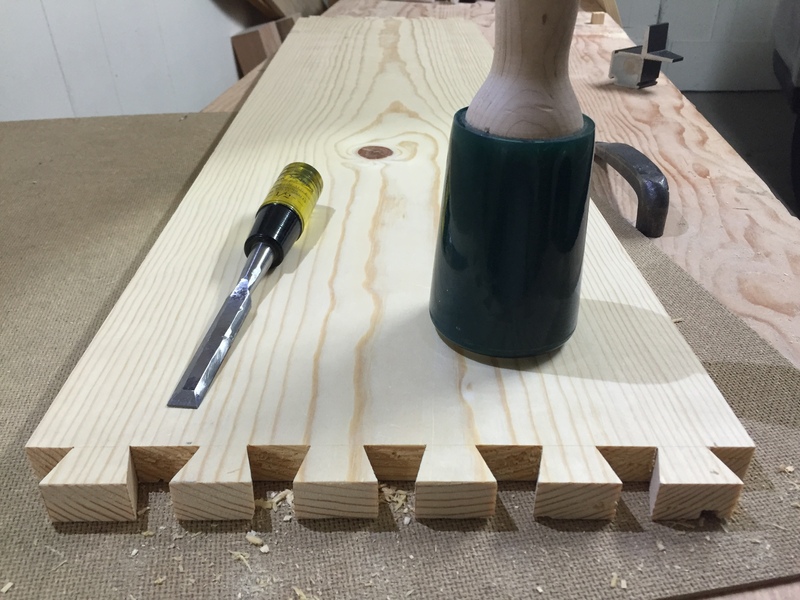 Because the through tenons are going to stand proud of the sides, I needed to plane the sides to their final finish. 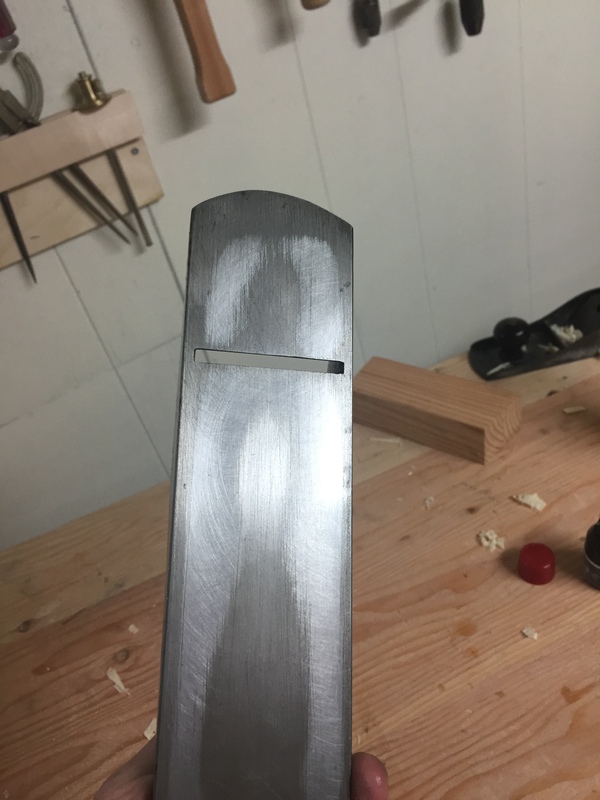 I sharpened up the blade in my #4 (it’s amazing how long a PMV-11 blade will hold a usable edge but finish planning pine needs a sharp blade) and after a couple of test cuts realized that my sole was not quite flat any more. I used my diamond plates to flatten it up a bit for now but I probably need to spend and day flattening my soles. 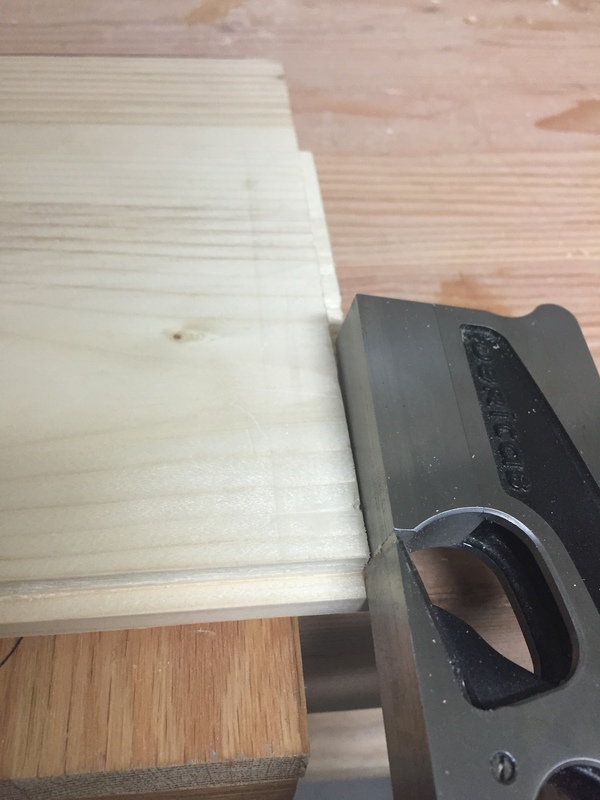 Next it was time to make a glue block by chopping out space for the pins (I saw this on the Woodwright shop), it is important to bevel the edges of the cut out to avoid leaving hard imprint edges on the sides. A bit of liquid hide glue and I called it a night. 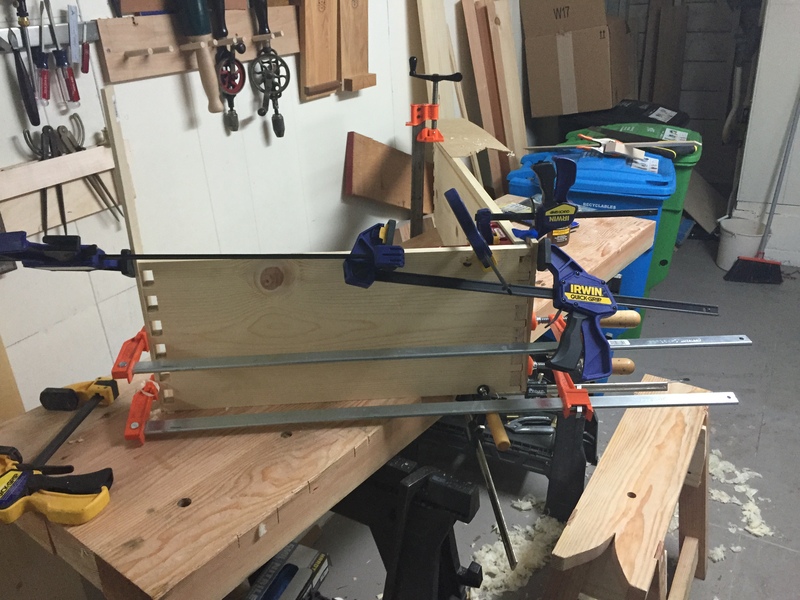 As I mentioned, I need more clamps. I strained my back at the gym on Wednesday so I decided working on the bench top would not be the best idea therefore this weekend was all about cutting pins. By sneaking in a few minutes after work I head already sized and square the case top and bottom, all that remained was planning them to their final width. I decided to jury rig a panel gauge using some scrap and a clamp which worked well enough for what I needed. After plowing the groove for the back it was time to mark and cut some pins. 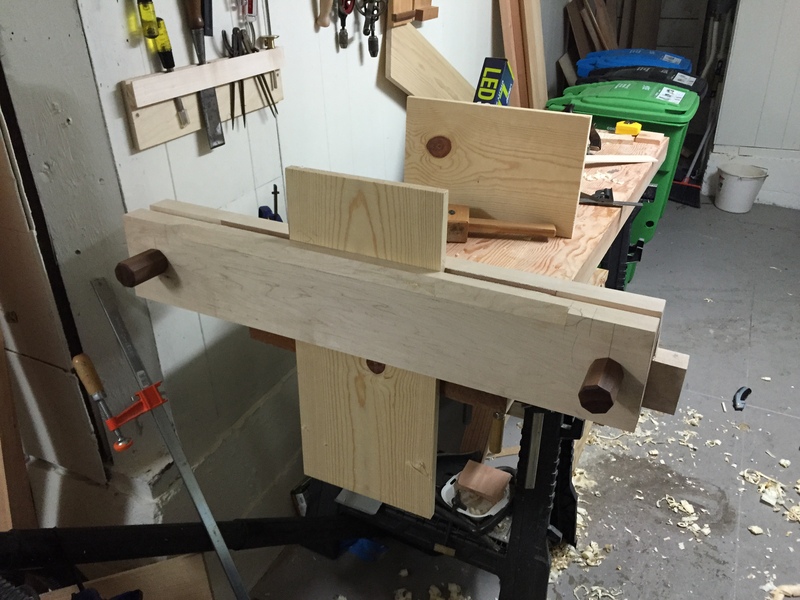 Since the case sides are longer than my bench is wide and my bench is not easily moved due to its lack of attached legs, I decided to relocate my Moxon vise to the end of the bench. 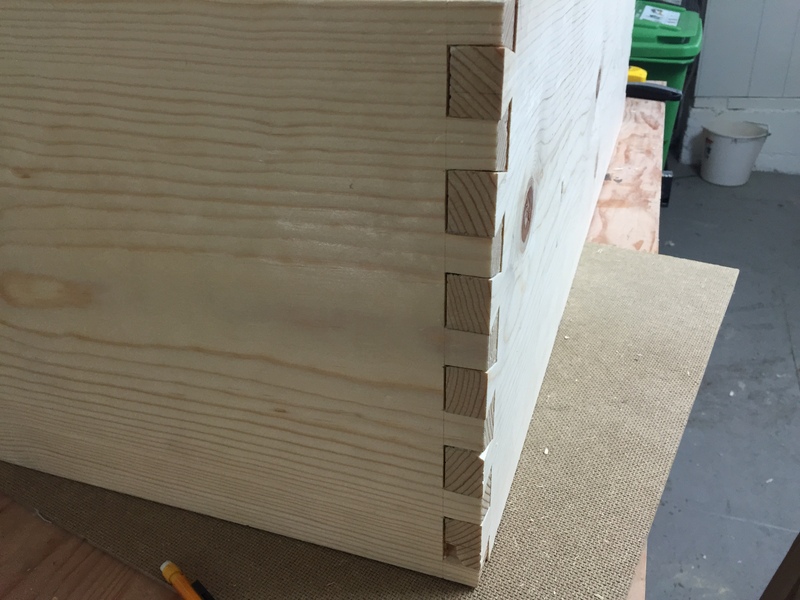 This gave me room to lay the case side on top and trace the tails with my marking knife, and then I marked out the face lines and got cutting. 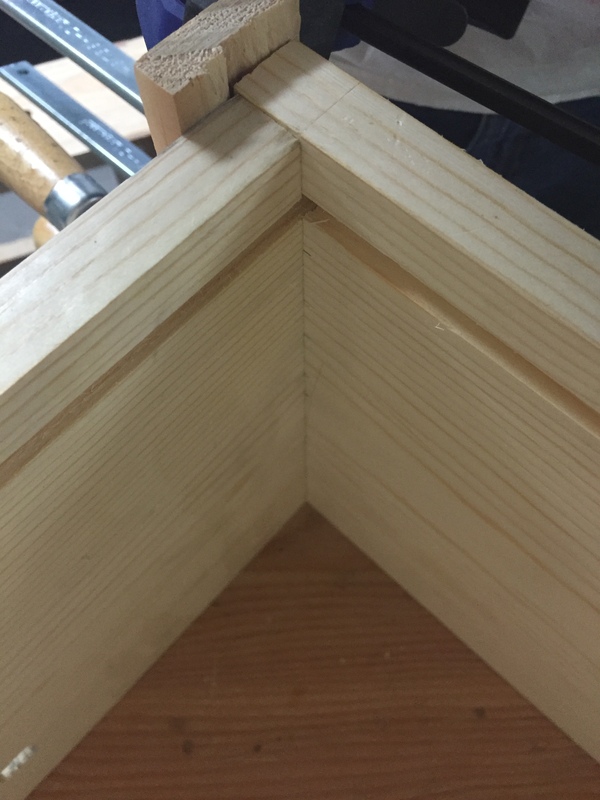 The end results were pretty good for a first attempt at free hand dovetails, there were a few gaps but the joint is structurally sound. Saturday we decided to walk to the SF Zoo (it’s a 3.5 mile walk) and we cut through Golden Gate Park to get there. 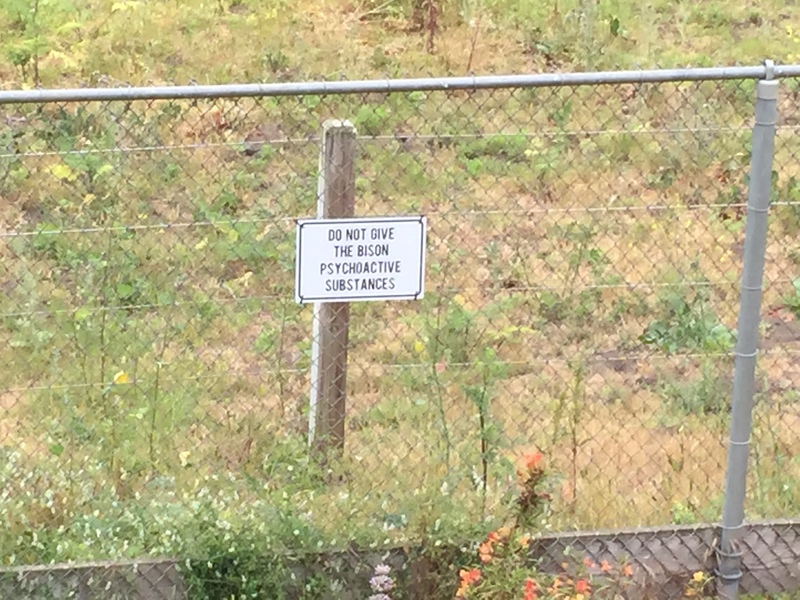 For those of you who don’t know Golden Gate Park has a small herd of Bison (commonly called Buffalo) which is where we noticed this sign. Saturday night I cut the second set of pins and these were atrocious; gaps everywhere and the front edges of the boards did not line up meaning I had to make the gaps even bigger in order to get them close to flush. In the end it was unbelievably loose and will need wedges/shims to be structural. Luckily this was followed by an excellent bottle of Cabernet Sauvignon. Sunday I managed to cut the two remaining sets of pins; set three was about the same as set one but for the final set I decided to use a mechanical pencil instead of a knife making it easier to see the lines and adding a bit more of a buffer zone; this was the best of the four. 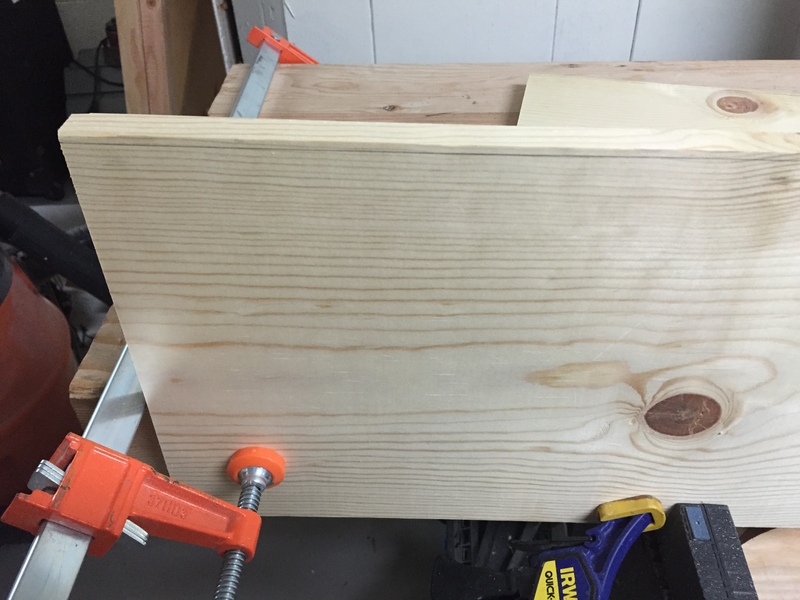 Since I still had some time I decided to pick or a board for the divider between the drawer and the saw area. 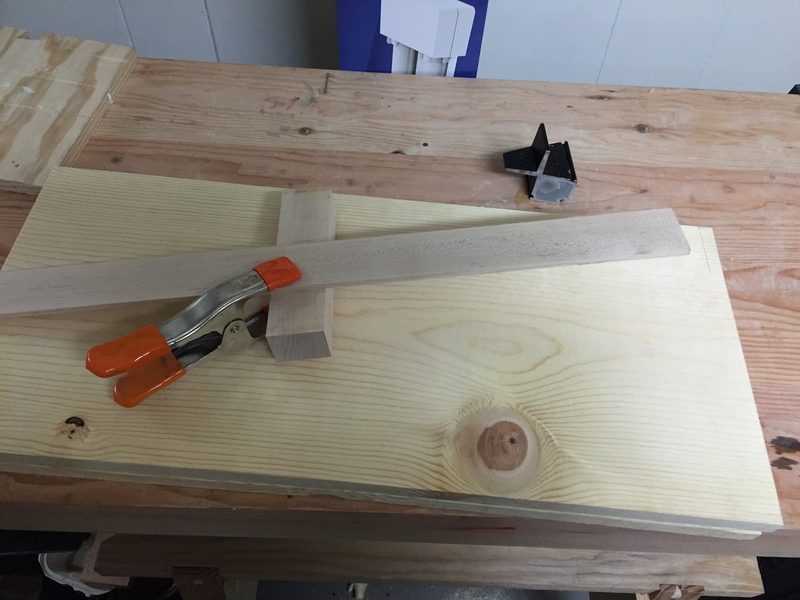 This board needed to be a quarter inch longer than the case top/bottom in order to have the through tenons stick out and it needed to be around the same width to make layout easier (I will plane down the front edge after joinery is complete to make a consistent 18th inch reveal). 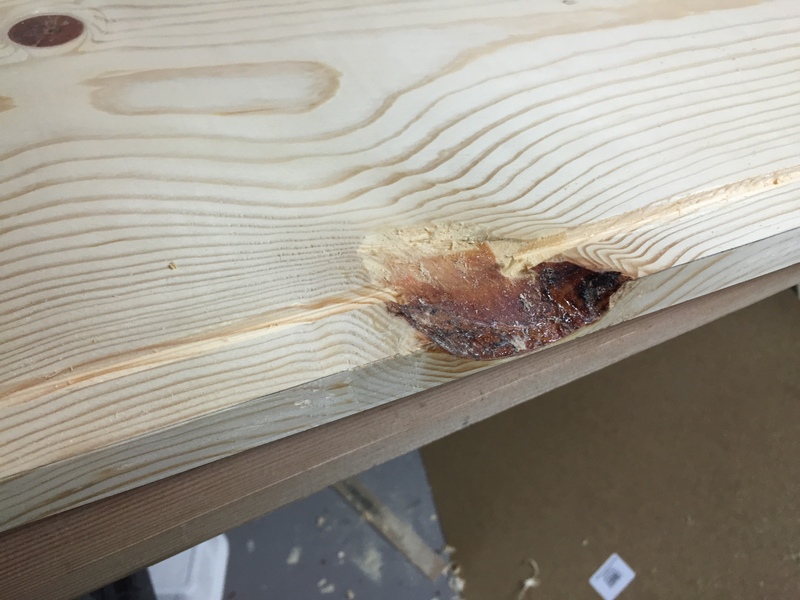 Unfortunately there were no suitable boards and any glue-ups would have required a ripping a narrow strip. 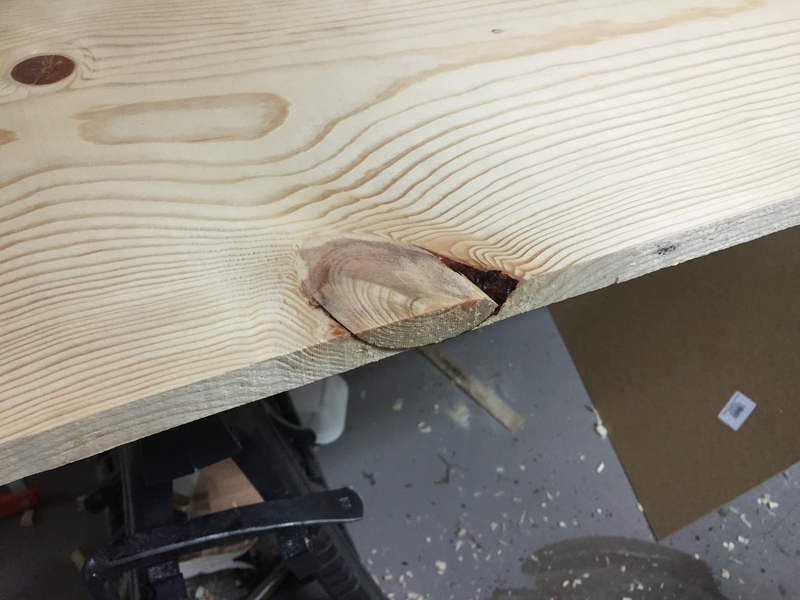 Instead I decided to use one of the case side cut offs that had a rather nasty knot on the edge which I chiseled out before planning the board to width. 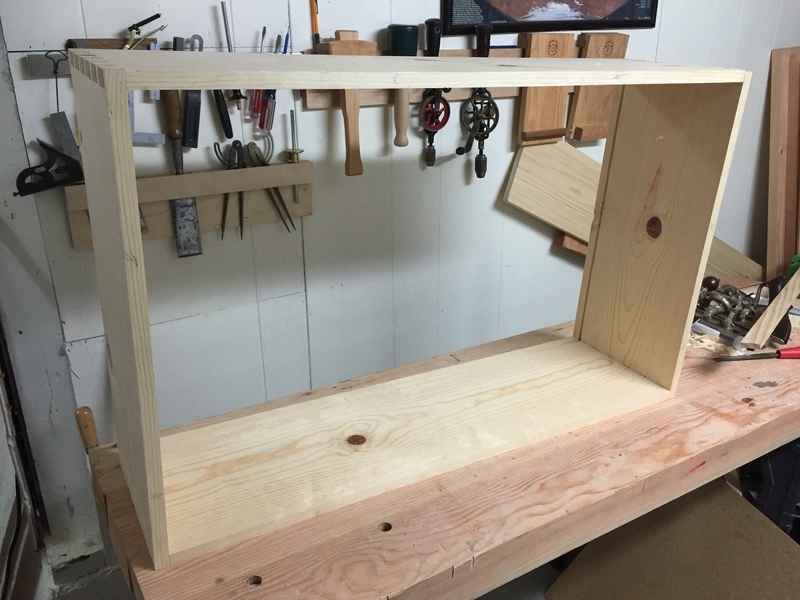 This knot void will only be visible from the back and from inside the drawer space, plus this is garage storage/practice piece so better to be economical about things. 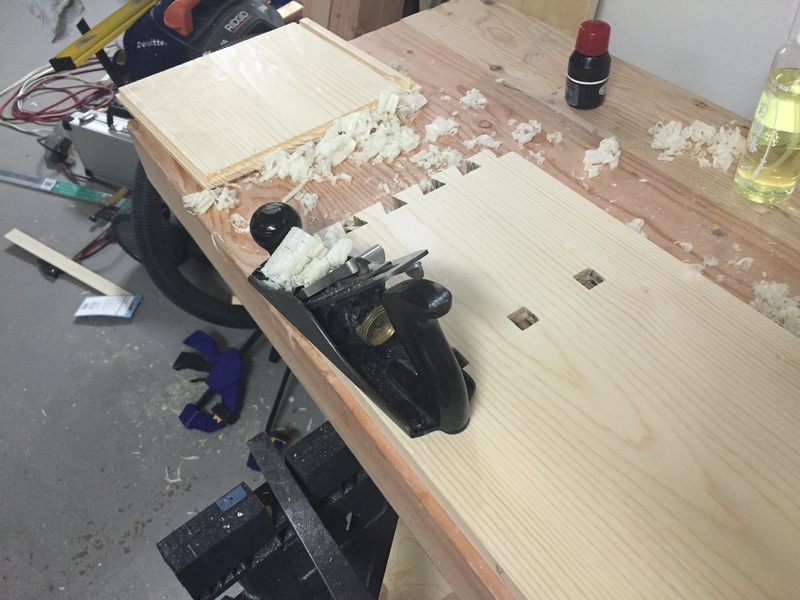 Then I plowed a groove on the top and bottom of the board to hold the back pieces. This is one of the design elements from the tools box inspiration that I really liked. 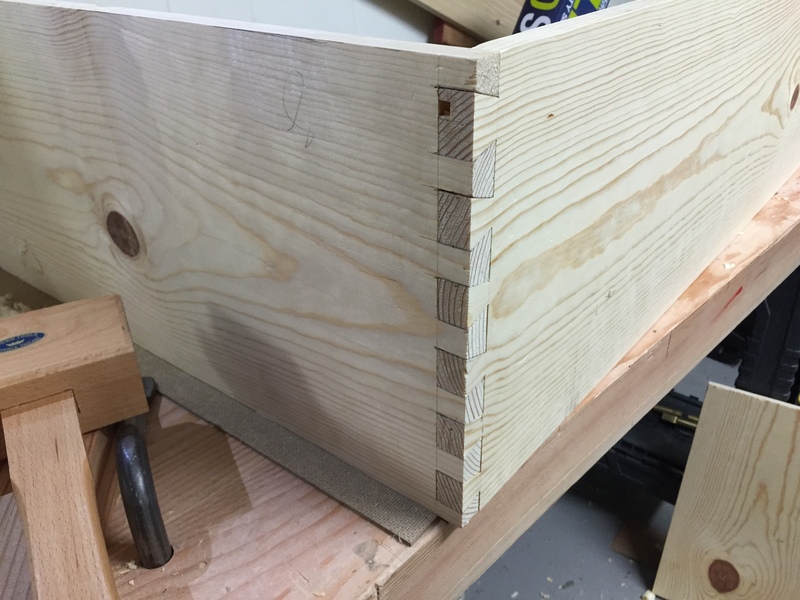 I managed to chop out the dovetails for one of the case sides last night. 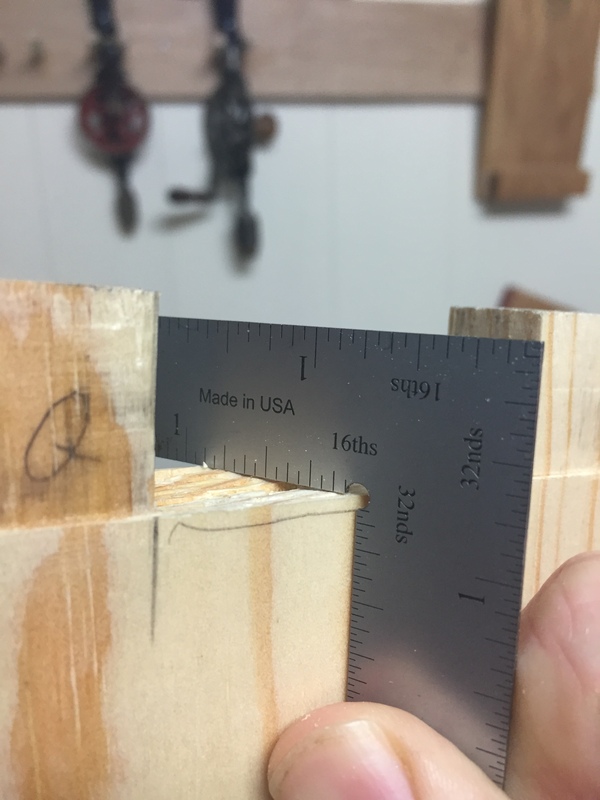 The new dovetail chisel worked quite well though it could use a bit more refinement of the beveled sides. 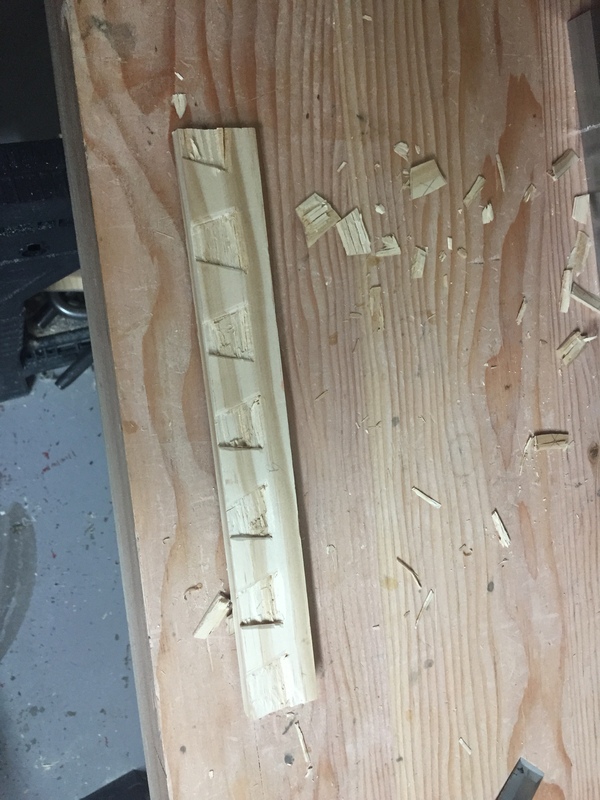 I also sawed the top and bottom pieces which I will plane to final dimensions tonight.